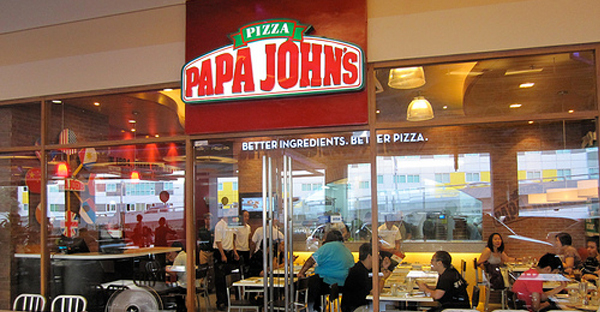 Blog Home » What We Can Learn from the Papa John’s SMS Marketing Lawsuit? Papa John’s is a well renowned name in the food industry. It is a US based pizza chain that has outlets all over the world. It is also amongst those businesses that have been subject to lawsuits. Most recently the company was charged with an SMS marketing lawsuit. This hurt their reputation badly and made others sit up and take notice. All those businesses that have been involved in spamming have now become aware of the dangers and threats of spamming. According to reports Papa John’s is known to have sent over 500,000 messages in early 2010, with some customers receiving 15 messages in a row often in the middle of the night. These messages were sent through a third party service and now both must bear the costs of causing distress to customers. Marketers can learn a lot from this case and make sure that they do not repeat such mistakes in the future. Firstly you must always seek consent of the customer before you start sending SMS marketing messages. It is a legal requirement and if you fail to comply by the law then the authorities can charge you. You shouldn’t intrude into other people’s lives so always seek permission first. Remember that a quality message is always likely to bring in more customers so concentrate on quality not quantity. Those businesses that excessively use SMS marketing are unlikely to profit from it. If you want long term commitment from customers then don’t flood their inboxes with useless messages. High volume doesn’t lead to high return on investment so never follow this strategy if you want to be successful. SMS marketing can only be successful if you have a sound business strategy in place. All your competitors are likely to be using the same medium so you will have to do something different to outshine them. Try to be customer oriented and make a campaign that focuses specifically on their needs. Also send meaningful messages or else you will be ignored. If for some reason you do end up in a lawsuit then don’t blame others for the messages. By accepting the blame you can plead for mercy and the customers may just settle for an apology. The more you deny your wrongdoings the longer the case will drag on and possibly higher the costs as well. How SMS Marketing Spam Can Damage Your Brand?